MARS IN LIBRA - HOW TO TURN CONFLICT WITH OTHERS INTO UNITY AND HARMONY! Do you know your Ascendent ("Rising Sign") - If so, Mars will be transiting anywhere from ONE to THREE of your Houses (depending on the Degree of your Rising Sign and the latitude/longitude of where you were born) during the upcoming 8-month long Transit of the Sign of Libra. Aries Rising: Conflicts with others over issues of partnerships and relationships. Taurus Rising: Conflicts with others over issues of shared resources. Gemini Rising: Conflicts with others over philosophy, religion and world-view. Cancer Rising: Conflicts with others over business matters. Leo Rising: Conflicts with others over group, community and global issues. Virgo Rising: Conflicts with others over secrets, hidden agendas and perceived deceptions. Libra Rising: Conflicts with others over ego issues. Scorpio Rising: Conflicts with others over personal resources and scarcity/abundance issues. Sagittarius Rising: Conflicts with others over information and communication issues. Capricorn Rising: Conflicts with others over issues involving family and home. Aquarius Rising: Conflicts with others over creativity issues. Of course, any Planets (Sun, Moon, Mercury, Venus, Mars, Jupiter, Saturn, Uranus, Neptune, Pluto) as well as Asteroids, Lunar Nodes, etc. that are in the Sign of Libra will also be impacted by this Transit. For instance, those with Mercury in Libra will have Mars pass over the Degree where their Mercury is placed several times during the 8-Month transit. Mars/Mercury conjunction makes for both fast thinking and fast talking, as well as aggressive communication and rash words. Depending on the House this drama unfolds in, and other Planets in that House, and the Angles of the other Planets to those Planets - well, you get the picture. You can't know SPECIFICALLY about your own personal configuration unless you have your Natal Chart read and analyzed. 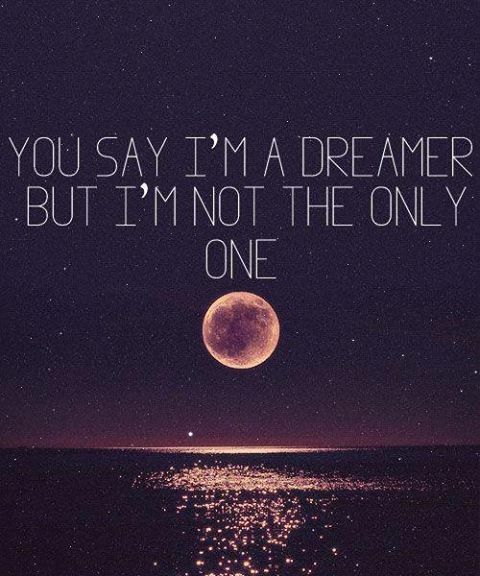 That's what I do. Be in touch. Now, what about all this conflict? 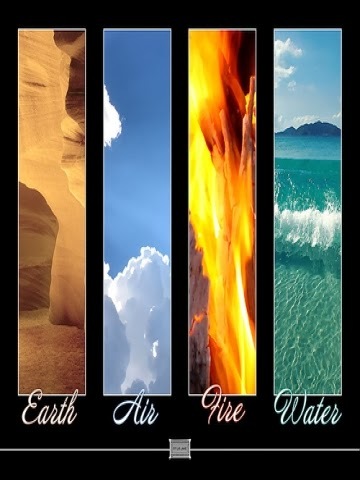 What does the TORAH tell us about these Archetypes? MARS is associated with the TRIBE OF YEHUDA, and the Month of Nissan. It's noteworthy that during the week we read about Yehuda's brave face-off with the Prime Minister of Egypt, second in command only to Pharaoh himself (who turns out to be none other than his long-lost brother Yosef). Here we have a detailed ARCHETYPE of the Mars/Yehuda energy as it plays out in the Parsha. Yehuda, although fearful of the as-yet-unrevealed Yosef, faces his fears by illustrating COURAGEOUS CONFLICT, his willingness to go the distance with the most powerful man in the world, in order to right a great wrong, is a model of what Mars Transiting Libra is all about in it's spiritual potential. Mars/Yehuda at its best is a warrior for truth and righteousness, justice and fairness - even more so to protect and defend those weaker than itself. The "Yehuda Energy" of Mars as it Transits through LIBRA, the Sign associated with the Tribe of Ephraim, challenges aggression to become assertiveness, temper to become tempered, chaos to become self-control. It's an opportunity to grow - specifically in the particular area of your life where Libra/Ephraim falls in your personal Natal Chart. In fact it's interesting to note that there is evolving prophecy regarding Yehuda and Ephraim in TaNaCH. "And I will strengthen the house of Judah, and I will save the house of Joseph (Ephraim), and I will bring them back; for I have mercy upon them; and they shall be as though I had not cast them off: for I am HaShem their God, and I will hear them." "The word of HaShem came to me, saying: Now you, son of man, take for yourself one piece of wood and write upon it, "for Judah," and for the Children of Israel, his comrades, and take one piece of wood and write upon it, "For Joseph, the wood of Ephraim and all the House of Israel, his comrades. Then bring them close to yourself, one to another, like one piece of wood, and they will become united in your hand. Now when the children of your people say to you, saying, "Will you not tell us what these things are to you," say to them: Thus said the LORD/HaShem/Elohim: Behold! I am taking the wood of Joeph which is in the hand of Ephraim, and the Tribes of Israel, his comrades, and I am placing them and him together with the wood of Judah, and I will make them into one piece of wood, and they will become one in My hand." What does that mean in regards to this Transit of Mars/Yehuda through Libra/Ephraim? IN WHATEVER AREA OF YOUR LIFE THIS TRANSIT TAKES PLACE - the House where it occurs, and whichever of the Planets (if any) are in this House - is your opportunity to apply CREATIVE CONFLICT positively to the particular situation in order to bring about UNITY AND HARMONY. It's about integrating the disparate parts of yourself into each other. It's about welcoming the "other" as yourself. Discover how the 8-Month Transit of Mars through Libra plays out in your personalized Natal Chart, and where your opportunities for TURNING CONFLICT INTO UNITY and HARMONY are taking place! MARS IN LIBRA - "CONFLICT WITH OTHERS" - AN 8-MONTH TRANSIT! ALERT - The Planet Mars will be transiting through the Sign of Libra for 8 months! December 8th, 2013 - July 27, 2014, Mars (the Planet associated with the Tribe of Yehuda and the Hebrew Month of Nissan) will be in the Sign of it's "Detriment," Libra (Associated with the Planet Venus/Noga and the Tribe of Ephraim). 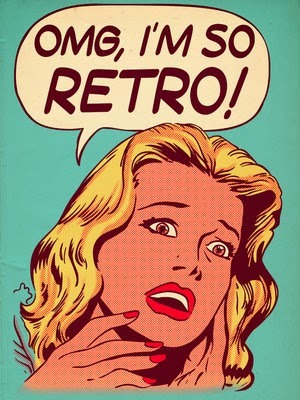 Mars will be traveling back and forth (Direct and Retrograde) in the Sign of Libra for the longest time in recent history (the last 15 Mars cycles have lasted anywhere from two months to three weeks in duration). This is going to be a long transit! "CONFLICTS (Mars) WITH OTHERS (Libra)" ... Yes it's obvious that Mars is aggressive, but did you know Libra, the Cardinal (Initiating) Air Sign is known as "the iron hand in the velvet glove" and that Libra is intensively interested in having its own way - nicely, of course, politely if possible, but emphatically so. Aries/Mars is about the individual, Libra/Venus is about the relationship of the individual with others. Conflicts with others are unavoidable, but how to handle them in the most enlightened way - that gets tricky. Especially for Libra, who hates confrontation and uses diplomacy - or if that fails, outright manipulation - to fight. 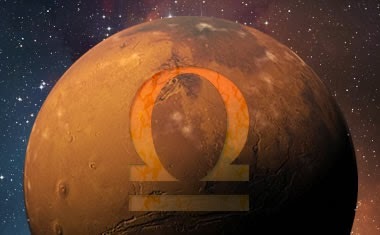 Is it any wonder Libra is known as the Sign of the "Detriment" of the Planet Mars? Mars is forced to "play nice," while Libra is forced to deal with uncomfortable feelings of anger and conflict. It can be a confusing time. Sun-Sign Libras, and especially those with their Natal Mars in Libra, and those with multiple Planets in Libra would be well-advised to order my "MARS IN LIBRA 2013-2014 REPORT," personalized for YOUR individual natal chart. Note to my current and former clients (you know who you are) - Chanukah Discount as I've already got your Natal Chart in my database. Your report is only $50. New clients - this product is $100 and includes a half-hour phone or Skpye consultation with me regarding your personal natal chart and how the 8 month long Transit of Mars through Libra will be reflected in your life. Email lorelaikude@yahoo.com - Happy Chanukah! Rosh Chodesh Tevet / Sagittarius New Moon / Happy Chanukkah! The New Moon at 10 Degrees Sagittarius comes to us at 2:22am Tuesday Israel time / 4:22pm Monday California time. Rosh Chodesh TEVET falls on Monday Night (December 2nd) - The Month of Tevet is a 2-day Rosh Chodesh, (Tuesday/Wednesday). Confusing? Not at all. The Hebrew Day begins at nightfall, the Solar day begins at dawn. Just think of it as New Moon / Rosh Chodesh "season," it comes every month - in 12 varieties of energetic flavor! 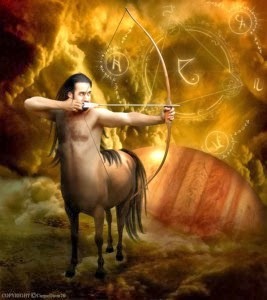 This year the New Moon in Sagittarius has a lot of HORSEPOWER! A tight Trine (120 degree angle) with Uranus in Aries (Nissan/Yehuda) and a Square (90 degree angle) to the important Asteroid Chiron (the "Wounded Healer") in Cancer (Tevet/Reuven), the New Moon in Sagittarius coming at the nick of time, to help lift the energy from the subterranean volcanic intensity of the previous Scorpio Cycle to the fiery and frolicsome Jupiter-tinged madcap roller derby/Ringling Brothers Barnum & Bailey circus-style level of lifestyle Sagittarius people love to operate at. This year's Sagittarius New Moon is very Tevet-flavored, meaning that although the "incredible lightness of being" one can experience after being in Scorpio and then coming into Sagittarius, that lightness will be in fact tempered by Tevet, i.e. Capricorn, which this year in the Jewish Calendar Cycle dominates much of December 2013. It's not all bad to have the Tevet/Cappy tempering, though. It actually creates conditions where the fiery enthusiasm of Sagittarius can become tangible and real, useful and even valuable when the Capricorn/Tevet energy is applied. Uranus in Aries makes a nice tight TRINE to the New Moon in Sagittarius, adding FIREPOWER to the New Moon cycle. Uranus is the planet of abrupt change, individuality (or as I like to say, radical, terminal uniqueness), of what we call "hiddushim," those blinding flashes of prophecy and insight that come to us in a moment, unbidden and yet welcome. Aries of course is the Cardinal Fire Sign, associated with Mars - an enormous amount of "get up and go" supports the Sagittarius (Mutable Fire) New Moon, giving it a big BOOST, making sure the takeoff is powerful! The Hebrew Calendar operates on a 19 year cycle, and some years the New Moon in Sagittarius falls on or near Rosh Chodesh Kislev, but this year (being a leap year, when we shore up the spaces in-between) we're actually closer to Tevet during this New Moon Cycle than we are to Kislev. It's JUPITER (Sagittarius/Tribe of Benyamin) and SATURN (Capricorn/Tribe of Dan) that are driving the energetic bus! 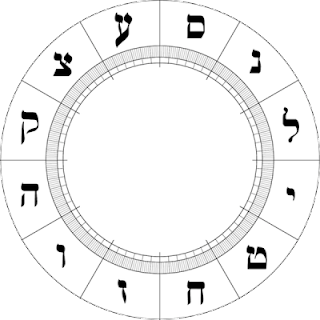 Jupiter in Hebrew is TZEDEK, and Saturn is SHABTAI, both these Luminaries have specific energetic functions in the Zodiac and in our lives. Jupiter/Tzedek brings expansion, inspiration, a sense of joy. Saturn/Shabtai brings responsibility, structure, a sense of duty. What if there was a way to combine both these energies without them being antithetical to one another? At this very moment, Transiting Jupiter/Tzedek is in the Sign of Cancer (Tammuz / Tribe of Reuven), expanding and inspiring all things NURTURING, all things GROWING, all things having to do with the concepts of FOOD, HOME, MOTHER and MONEY. Transiting Saturn/Shabtai is in the Sign of Scorpio (Cheshvan, Tribe of Menashe) right now, evaluating, structuring, organizing and finding a way to USE the SECURITY generated by the Jupiter in Cancer concerns, finding a way to VALUATE what kind of ROI is being generated by those things we find value in at this time of our lives. It's not a calendar coincidence that the Festival of CHANUKAH always marks the transit between the end of Kislev and the beginning of Tevet. Because Chanukah always begins on 25 Kislev, Rosh Chodesh Tevet always falls out on the 6th Candle of Chanukah. Chanukah transits both Kislev and Tevet, this New Moon / Rosh Chodesh combines both Sagittarius and Capricorn. The LIGHT OF CHANUKAH comes at the darkest time of the Year, but what is light without a vessel? Tevet's STEADYING and SUPPORTIVE energy can build the vessel strong enough to hold all that Sagittarius light! This is happening UNIVERSALLY, and it's happening INDIVIDUALLY. Where does the New Moon in Sagittarius fall in your personal Natal Chart? In what areas of your life will you most need to experience freedom? Where do you need structure? What new thing is being born? In what area of your life do you long to manifest courage? I'd love to connect with you and introduce you to yourself as I see you! When I do someone's Astrological Natal Chart it frequently feels like a one hour super-powered therapy session on steroids. Issues that could take months or years to come out in conventional therapy are brought to the surface immediately and reflected back to the client in the context of their soul's journey in this life and how all their different parts work together as a whole to accomplish the work they've come to do. On a personal level, my favorite is working with people I don't know at all, or whom I only know casually, as information I already know about them in the context of our relationship interferes emotionally (my emotions, not theirs!) in my ability to feel like I'm being a completely clear communicative channel. My least favorite charts to do are of course my own children, I can barely look at their Natal Charts without bursting into tears (as how they experience both their parents and family of origin are so clearly marked in each of their charts and of course that brings up all sorts of MY STUFF). The truth is, everybody's natal chart has certain "signatures" that indicate how they experience their own parents, their siblings, their own children, their own partners, romantic attachments and lovers (those are three different Houses, not all the same thing! ), in fact relationships of all kinds (employer/employee, group member, etc.) 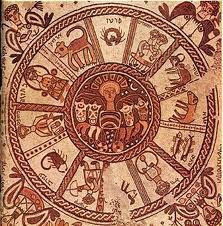 are represented in various Houses of a person's Natal Chart. Each one of the 12 Houses is related to one of the 12 Tribes of Israel. EVERYONE has 12 Houses in their individual Natal Charts! Where the Planets, Asteroids and theoretical mathematical points are placed in your Houses tells the story of how YOU were "fearfully and wonderfully made," a completely unique individual who chose the very life you are now living for a PURPOSE. 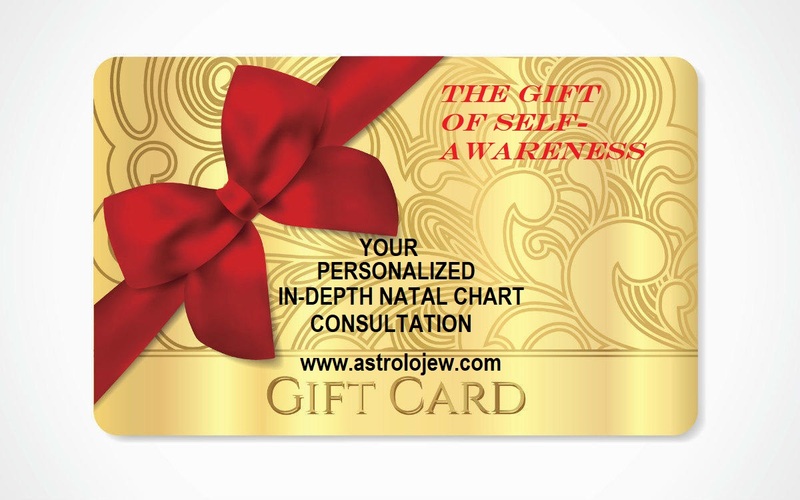 Reflective Rectification Astrological Analysis can help you connect with that purpose and give you insight into the G*d-given gifts you received at birth to help you accomplish your task in this world. Contact Lorelai Kude at: lorelaikude@yahoo.com to make an appointment in person or via Skype to learn about your personalized Natal Chart. 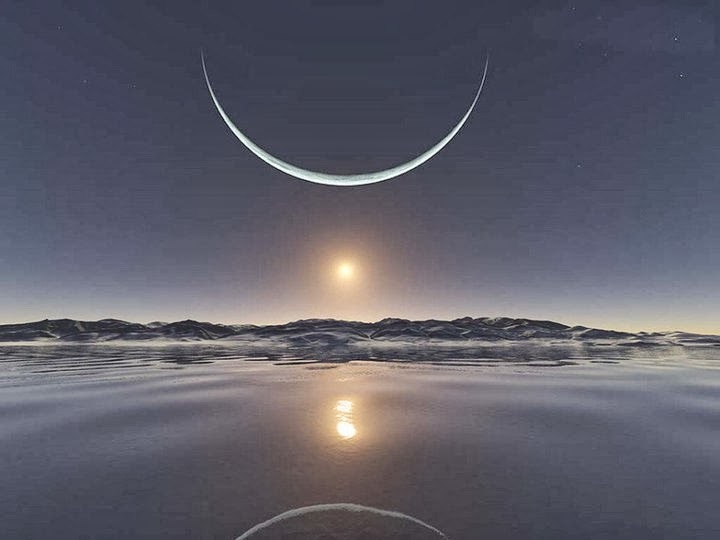 It's Rosh Chodesh Cheshvan and the New Moon in Libra (Sun and Moon Conjunct at 11 Degrees Libra). It's that "overlap" time between Zodiac Signs that happens when the Hebrew calendar and the English Calendar fluctuate in their cycles. 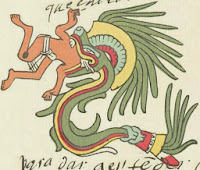 Cheshvan is associated with Scorpio, with the Tribe of Menashe, and the energy of Fixed (Establishing) Water. Libra, of course, is associated with the Month of Tishrei, the Tribe of Ephraim and the energy of Cardinal (Initiating) Air. These next 13 days between when Rosh Chodesh Cheshvan begins (today) and when the Sun actually goes into Scorpio (October 23) is what I call "Libra/Scorpio," meaning the Sun is still in Libra but the energy is already very much pulling towards Scorpio. It's a time of intense passions, intense longings, and the impetus to protect what you believe belongs to you (Scorpio) while at the same time attempting to be "fair" to others (Libra). In a big way it's about SHARING - sharing love, sharing ideas (Libra), sharing resources, sharing intimacy (Scorpio). What do we do with children who won't learn to share? We send them to their room to be alone and think about how they're hurting themselves and others. Thus the Universe will do to those who resist the impetus to share, until they grow up and learn that not everything is all about them. It's important to remember Libra/Scorpio is Ephraim/Menashe. The brothers, the sons of Yosef haTzadik, the grand-sons of Yacov and Rachel. When Yacov went to bless his grandsons and reversed his hands to give the Eldest's blessing to the Youngest, the danger was jealousy (as had been played out in the generation before via the story of Yosef and his brothers). Ephraim and Menashe stand out in Jewish history as the first time our family (B'nai Yisrael) ever demonstrated that they had learned HOW TO SHARE. Ironically I see this played out on a large scale in the conflict between women and other women at the Kotel this morning during Rosh Chodesh services - they don't want to share space, power, privilege, and they sure as heck don't want to share in who is "right." Erratic, individualistic Uranus in aggressive Aries makes an exact Opposition to this New Moon, making everybody even more entrenched in their sense of self-righteousness and sure that their position is the one and only true and legitimate one. Squaring the New Moon is passionate, possessive, smoldering Pluto in materialist Capricorn, reflecting the blind spot (a Square is after all, a corner - and who can see around a corner without a mirror???) that keeps each group embedded in only their own reality and blinds them to the fact that other realities exist which are not their own. Expansive Jupiter in security-conscious, nurturing Cancer also makes a hard Square to the New Moon, thus completing the "Cardinal Grand Cross" of Planets that takes place today. Jupiter could reflect either the urge to expand one's consciousness (let's hope so) OR it could simply blow up Cancer's already possessive nature, making everyone guard their turf even more. It's said that "Israel is 'above the zodiac.' This is true of our NATIONAL destiny, but as individuals it's true only as far as each member of Claal Yisrael takes personal responsibility to develop their own midot (personal characteristics such as kindness, patience, etc.). For those who choose to forgo personal growth and self-awareness, you're just stuck inside of Mobile with the Memphis blues again. It's time to take a page from Ephraim and Menashe's playbook. SHARING IS CARING. Jupiter - the big windy gas bag of our Planetary system, ruler of everything gigantic and over-the-top, has just moved from the Sign of Gemini (where it's been since June of 2012) and into the Sign of Cancer (where it will be until July 2014). This year we're "blowing up" Cancerian concepts of security: home, food, mother, money. All the Planets are created by HaShem as energetic lenses through which specific attributes are filtered. 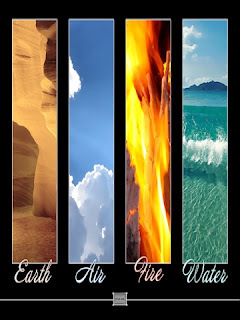 These attributes reflect the corresponding conditions upon Creation - specifically, humankind. Jupiter is the largest Planet, is associated with the Sign of Sagittarius (and traditionally, before the "discovery" of Neptune, with Pisces). It's also associated with the Month of Kislev, the Tribe of Benyamin, the tikkun of sleep and dreams. In mythology Jupiter is Zeus, the king of the Olympians, godfather to the mythological mafia line up, if you will. Jupiter has the attribute of extremism - although it is usually experienced in a positive and even beneficent manner, it can be excessive. Beginning this week, Jupiter is making a transit (passing through) the Sign of Cancer for about the next year. Wherever Jupiter transits, that area of life gets expanded. During Jupiter's transit of Gemini everything having to do with communication (Gemini's forte) was expanded. Think of Wikileaks and all the security breaches of the last year! Cancer is concerned with security and advancement. Cancerians are ruled by the Moon, which makes them emotional, yet they are Cardinal Signs so they always take the initiative although they travel Crab-like, scuttling in switchbacks and never making a direct approach, but never backing down. Cancer's key words are: Food, Home, Mother, Money. These are triggers for them emotionally and in terms of motivation. Jupiter's transit of Cancer will see these key words / emotional triggers expanded. Globally "Mother Earth" may be the Mother to whom we need to pay attention. To each of us individually those things that say "mother" to us, i.e. our literal mothers or those who provide nurturing energy to us in whatever form - those relationships will be highlighted and emphasized. We have to ask ourselves: What are we growing in our lives? What are we nurturing, what is nurturing us? How are we providing for our own heritage and legacy? So friends - Welcome to Jupiter in Cancer, let's keep our eyes open for those things within ourselves and each other that need watering and care! Full Moon in Sagittarius, Lunar Eclipse 7:10am Israel time on Shabbos Day (Saturday). Communicative Gemini Sun's opposition to Wandering Philosopher Sagittarius Moon is temporarily blocked by the EARTH (that's what makes the Lunar Eclipse), with illusion-enhancing Neptune making a hard Square to both Sun and Moon in mystical Pisces. Strict Saturn in seething, scheming Scorpio is Semi-Sextiling the Lunar Eclipse. All this happening during Parsha Behaalotecha. What does this mean in English? EVERYBODY'S TALKING, NOBODY'S LISTENING, Egos, Super-Egos and Ids and each of their Evil Twins are causing numbing static, unless we can stop our internal and external chatter we can't hear the heart of the "Other," who is really our Shadow Self that we've created by rejecting what's too scary for us to own. Aaron lighting the Menorah brings Divine light into our intellect, the Pillar of Cloud by day obscures the searing, judgmental heat, and the Pillar of Fire by night illuminates the darkness with hope. Manna falls for us every day. Are we going to COMPLAIN about what we DON'T have or are we going to be thankful for what we DO have and make the most of it? Will we use our words to hurt or to heal? Will we give the "Other" the benefit of the doubt, a good eye, a spoonful of merit or will we automatically reject whatever isn't "us"? Wishing ALL of us Divine Light, mercy, hope and a positive attitude towards ourselves and others. Self-awareness sweetens judgement and invites rectification.